Cheltenham Races: Could Ravenhill Road Upset Cracking Smart, Samcro In Cheltenham Battle? Could Ravenhill Road Upset Cracking Smart, Samcro In Cheltenham Battle? Cracking Smart is the headline horse ahead of Cheltenham Festival and will be looking to enhance his reputation by claiming victory in the Albert Bartlett Novices Hurdle title. There are a number of talented horses in the field and it promises to be a fascinating contest due to the quality on display. Ravenhill Road is the leading competitor to emerge from the northern stables to challenge Gordon Elliott's charge. However, he will face a massive challenge to defeat Cracking Smart. The French horse is considered the leading contender for the crown among leading bookmakers with Oddschecker and would be well worth use of a free bet, although he will face stiff competition at the race in March. We’ll now breakdown Cracking Smart’s form and his major rivals’ performances from their careers thus far heading into the showdown. Gordon Elliott’s charge began his career at Naas in the GAA Maiden Hurdle. 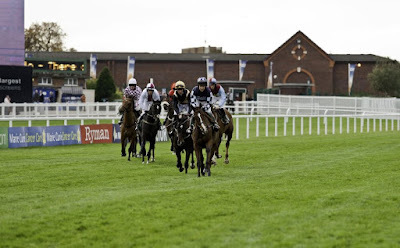 The French horse was considered an outsider for the event, but produced a fine performance to finish in second place, although he was one-and-three-quarter lengths off the pace of winner Midnight Banks. Cracking Smart made his breakthrough at the GAA Race Day Flat Race at Fairyhouse. Jamie Codd manoeuvred the bay gelding through the field before cantering down the final stretch to win by 13 lengths, ending the 2017-18 campaign on a high note. He returned to action for the Maiden Hurdle at Punchestown. Jack Kennedy took over the reins, with the French horse considered the favourite for the event. He made a steady start to the action and made his way through the field before finding his rhythm before the penultimate hurdle. Cracking Smart surged down the stretch to win by four lengths ahead of Irish horse Shady Operator. Elliott’s charge proved his quality with a fine outing at the Irish EBF Novice Hurdle. Kennedy was again in the saddle and he gradually moved into striking distance before the last fence. Cracking Smart almost made a costly error, but managed to regain the stride pattern needed to close out the victory by a comfortable margin. The French horse’s run of three victories on the spin was ended by Next Destination at the Navan Novice Hurdle. The six-year-old struggled for rhythm down the stretch of the race and could not match the speed of his rival, losing out by five-and-half lengths. The two horses duelled it out again at the Lawlor's Of Naas Novice Hurdle, with the Irish horse triumphing once again, with Cracking Smart falling short by one length. Elliott will be looking for a stronger performance from his charge in his first outing at Cheltenham. Ellison’s charge has the opportunity to make a splash at the race and challenge the elite competitors, despite his lack of experience on the major stage. The chestnut gelding has never appeared at Cheltenham and has only five races under his belt. However, with Ellison and Brian Hughes in the saddle, he could be one to watch at the Festival. Ravenhill Road began his career at the Standard Open NH Flat Race at Market Rasen. The Irish horse was considered the favourite for the event, and was able to rise to the occasion to claim the victory in a comfortable manner, cantering down the stretch to win by 14 lengths ahead of Temple Man. In his next two-mile outing, Ravenhill Road was challenged by a talented field at Doncaster. Kaine Wood kept his charge in rhythm and was able to pull away three furlongs towards the end of the race. The Irish horse found top gear down the stretch to gallop to a four-and-a-half length victory, placing ahead of compatriot Molly Childers. After almost a year out of action, the seven-year-old returned to the fold at the Ditherer Stakes Maiden Hurdle at Sedgefield. Hughes took to the reins and guided the horse steadily out of the gate before finding rhythm to challenge the leaders. Ravenhill Road moved ahead of the field three furlongs and put forward a dominant closing run, finishing the race 23 lengths ahead of his nearest rival Inniscastle Lad. The Irish horse faced a challenge maintaining his form at the Sky Bet Fast Withdrawal Novices' Hurdle at Doncaster. After a solid opening to the race, he began to close on the leading group, but was unable to make the decisive shift in pace overhaul his rivals. Ravenhill Road lacked the speed to claim the victory, finishing in third behind And The New and Django Django. As a result of that performance, he was an outsider for the Albert Bartlett Scottish Trial Novices' Hurdle. After a strong start to the race, the Irish hose lost his rhythm and meandered at the eight fence. He failed to regain his stride pattern before pulling up three fences from the finish. The chestnut gelding will have to be flawless to beat out his rivals at Cheltenham. The six-year-old has won all six of his races to date and will challenge his stable-mate Cracking Smart along with Next Destination for the crown. He began his career at the start of the 2016-17 National Hunt season in the GAA Flat Race. 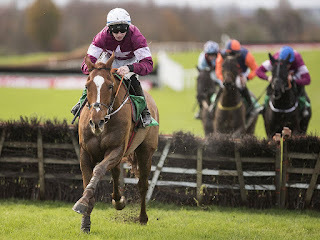 Samcro was considered the favourite for the meet at Punchestown and rose to the occasion after a steady start, producing a strong finish to secure his first win by nine-and-a-half lengths. Elliott’s charge impressed once again at the Future Champions Flat Race at Navan before Christmas 2016. Jason Codd was in the saddle and led the chestnut gelding through the field. Good Thyne Tara provided a challenge down the stretch, but he fended off the push – winning the contest by half-a-length. His next flat race was a formality as he cantered to a dominant victory by 17 lengths at Fairyhouse, ending the campaign on the highest of notes. 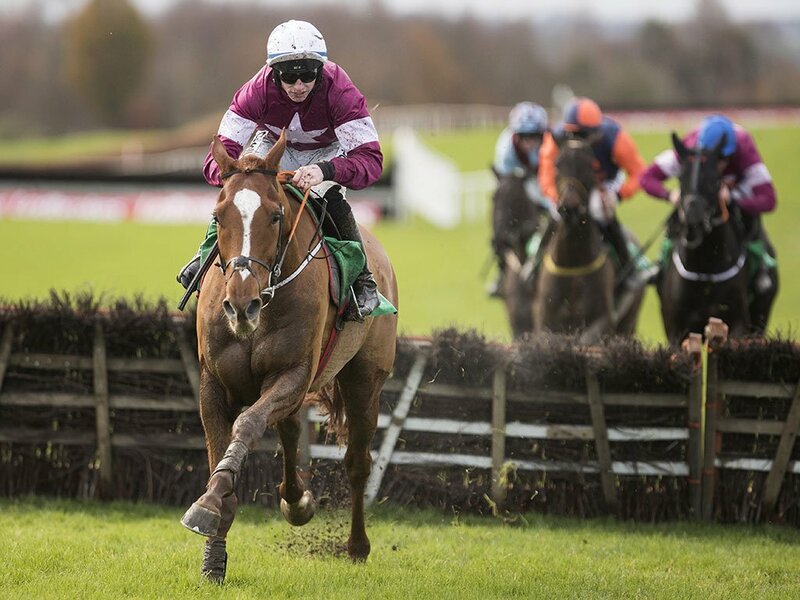 Samcro returned for the current campaign at the peak of his powers at the Maiden Hurdle at Punchestown. Jack Kennedy took the reins and was able to guide the Irish horse to a compounding victory as he remained in contention in the early stages of the race before moving into the lead in the closing stages, cantering down the stretch to a 15-length triumph. Elliott’s charge was the overwhelming favourite for the Monksfield Novice Hurdle and once again he was on top form, taking the lead three fences from the end of the meet. Samcro turned on the power towards the final furlong and pulled away from his nearest rival Jetz to win by 12 lengths. The chestnut gelding had to rise to the occasion against a talented field at Leopardstown in the Novice Hurdle. Kennedy was once again in the saddle and he again kept the Irish horse steady out of the traps in the early stages of the meet. Samcro found his rhythm and was able to pull away from the rest of the field to win by five-and-a-half lengths. He has the quality to challenge Cracking Smart and will be looking to make an impact in his first opportunity at Cheltenham.